Jaded Blossom: First Birthday Banner! 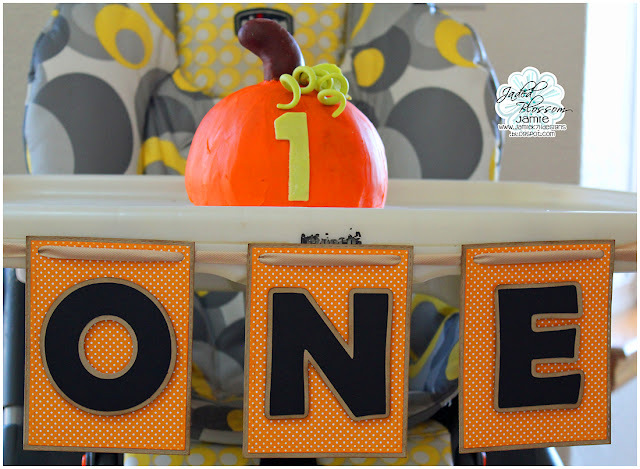 Jamie here to share a cute banner I made for my Son's First Birthday! I used the largest Rectangle Dies 1 to cut the first layer in kraft paper. Then I used the Card Mat Die for the orange dot layer. Last I added some letter I cut from a font in the Sil Studio. A simple banner that looks cute with the adorable pumpkin smash cake! Here's a pic of my little man enjoying his cake! Banner looks awesome! Happy Birthday to your little boy! He's adorable!